GENEVA, Switzerland, October 26, 2014 (ENS) – At a high-level emergency meeting convened by the World Health Organization on Thursday, pharmaceutical companies developing Ebola vaccines committed to accelerate production capacity for millions of doses to be available in the first quarter of 2015. Regulatory authorities in countries where the vaccines are manufactured and in Africa committed to supporting this goal by working under extremely short deadlines. To help control the ongoing Ebola epidemic that has claimed nearly 5,000 lives, most in the West African countries – Guinea, Liberia and Sierra Leone – the WHO is coordinating the fast track testing and deployment of several vaccines. The WHO convened the emergency meeting at the request of several governments and representatives of the pharmaceutical industry. The 90 participants discussed access to near-term vaccines, the financing of vaccine and immunization campaigns and the design, production capacity, regulation and indemnity of clinical trials in at least seven countries. Trials of vaccines have already begun in the United States, the United Kingdom and Mali, and are beginning in Gabon, Germany, Kenya and Switzerland to determine safety, dosing and efficacy. “As we accelerate in a matter of weeks a process that typically takes years, we are ensuring that safety remains the top priority, with production speed and capacity a close second,” says Marie-Paule Kieny, WHO assistant director general of health systems and innovation. GlaxoSmithKline’s monthly production capacity for the purified bulk vaccine is expected to rise from the current figure of 24,000 doses to 230,000 by April 2015, if they can be filled for release, said WHO in an outcome statement from the meeting. This vaccine, ChAd3-EBOV, is currently being tested in Mali. NewLink Genetics Corp, which licensed an Ebola vaccine developed by Canadian government scientists and U.S. scientists, says bulk vaccine manufacturing capacity will vary, according to the dose selected, from 52,000 doses to 5.2 million doses anticipated for the first quarter of 2015.
WHO meeting participants concluded that health care workers, including medical staff, laboratory staff, burial teams, and facility cleaners, should have first call on vaccine doses while supplies remain limited. Vaccination of health care workers in the three countries most affected was judged feasible during the first quarter of 2015.
WHO officials said results from Phase 1 clinical trials of most advanced vaccines are expected to be available in December 2014. 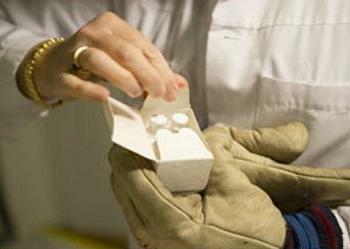 Efficacy trials in affected countries also will begin in this time frame, with protocols adapted to take into consideration safety and immunogenicity results as they become available, said WHO. Community engagement is key and work should be scaled up urgently in partnership between local communities, national governments, NGOs and international organizations, meeting participants agreed. Vaccines may have a major impact on further evolution of the epidemic. Kieny says all parties are working together to finalize the most rapid approach for developing and distributing vaccines, including direct engagement with affected communities, so that effective treatments and prevention methods are embraced and shared far and wide by the most effective ambassadors, the communities themselves. Meeting participants included high-ranking officials from the ministries for health and of foreign affairs from Canada, China, the European Union, France, Germany, Guinea, Italy, Japan, Liberia, Mali, Nigeria, Norway, Russia, Sierra Leone, Switzerland, the United Kingdom, and the United States. Also present were representatives from SAGE, the African Development Bank, the Bill and Melinda Gates Foundation, the European Federation of Pharmaceutical Industries, the European Investment Bank, the European Medicines Agency, the GAVI Alliance, the London School of Hygiene and Tropical Medicine, Médecins Sans Frontières/Doctors Without Borders, the Paul Erlich Institute, the U.S. Centers for Disease Control and Prevention, the U.S. Food and Drug Administration, the Wellcome Trust, and the World Bank; and executives from GlaxoSmithKline, Johnson & Johnson, Merck Vaccines, and New Link Genetics. The meeting concluded that vaccines will have a significant impact on the further evolution of the epidemic in any scenario, from best-case to worst-case, WHO officials said. The meeting concluded that funding issues should not be allowed to dictate the vaccine agenda. “The funds will be found,” said WHO in the meeting outcome statement. As the next step, WHO Director-General Dr. Margaret Chan will be working with groups to advance vaccines’ trials and deployment as quickly as possible. The European Commission Thursday announced €24.4 million from the EU budget for urgently needed Ebola research, including a large-scale clinical trial of a potential vaccine. The money from Horizon 2020, the EU research and innovation program, will be provided via a fast-track procedure to start work as soon as possible. The funds will also be used to test existing and novel compounds to treat Ebola. The Commission is also working with industry on the further development of vaccines, drugs and diagnostics for Ebola and other haemorrhagic diseases within the Innovative Medicines Initiative. * – EbolaVac from GlaxoSmithKline Biologicals based in Belgium, which will receive €15,153,216 to conduct clinical trials in Europe and Africa on the most advanced vaccine candidate ChAd3-EBOV. These trials will provide extended evidence on the safety and ability to elicit a protective immune response, as well as on the most appropriate vaccination schedule. These trials are the necessary step toward studies on the protective effect of the vaccine that will follow. * – REACTION from the Institut National de la Sante et de la Recherche Medicale (INSERM) based in France. INSERM will receive €2,575,810 to study the safety and efficacy of Favipiravir, an antiviral already licensed for influenza, first in an animal model of the disease and then on patients with Ebola virus disease. First results expected after six months. * – Ebola_Tx from the Prins Leopold Instituut voor Tropische Geneeskunde based in Belgium, which will receive €2,892,171 to study the safety, efficacy, and practical aspects of using whole blood or plasma from survivors, as a treatment for patients with Ebola virus disease. * – EVIDENT from the Bernhard-Nocht-Institut fuer Tropenmedizin based in Germany, which will receive €1,759,326 for research on interactions between the Ebola virus and the host. This will provide urgently needed answers regarding the pathophysiology and transmissibility of the disease, and will help better guide the planned clinical trials on vaccines and potential treatments, as well as the management of patients with Ebola virus disease. 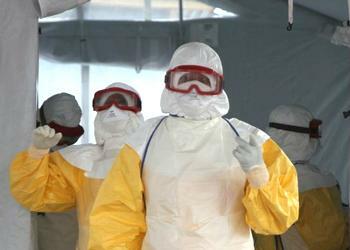 * – IF-EBOla from the Institut de Recherche pour le Developpement in France will receive €1,992,770 to study the safety and efficacy of using antibodies produced in horses against Ebola, as a passive immunity treatment for patients with Ebola virus disease. A study detailing one vaccine, VSV-EBOV, that protects monkeys against Ebola was published in June 2005 by U.S. and Canadian scientists in the journal “Nature Medicine,” but the vaccine was not tested in humans – until now. In August, Canadian Health Minister Rona Ambrose said Canada is donating at least 800 doses of the experimental EBOV vaccine to the World Health Organization. Scientists at the Public Health Agency of Canada’s National Microbiology Laboratory developed the vaccine and the Government of Canada owns the intellectual property rights to the vaccine. Canada has licensed the rights to BioProtection Systems, based in Ames, Iowa, to further develop the product for use in humans.